It is sad fact that young people are dying in America at unprecedented rates. The reasons are varied; however, when looking at the data, overdose and alcohol are often involved. There is nary a soul in our country that is not aware that Americans have long been in the grips of an opioid addiction epidemic. Every day, some 100 people in this country pass away from an opioid overdose death. Millions more are caught in the insidious cycle of opioid use disorder, a deadly form of addiction that to break free from almost always requires treatment. Efforts have been made to address rampant over-prescribing and provide access to naloxone to reverse an overdose, but the death toll continues to rise. Especially among young people in America. A demographic that should be at peak physical fitness, not held back by health problems. While practically every subset of young people has been touched by the opioid addiction epidemic, two groups have had the highest increase in morbidity: whites and Native Americans. The Washington Post recently conducted an analysis of mortality data from the U.S. Centers for Disease Control and Prevention (CDC). 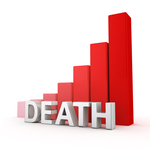 The print news organization found that the death rate has increased among people between 25 and 44. Nearly every race and ethnic group has seen a rise in morbidity. While the data is concerning to say the least, the highest increases were observed among whites (12 percent) and Native Americans (18 percent) between 2010 and 2015. It is worth noting that opioids were not the only culprit; alcohol and suicide played a significant role in the increase, according to the report. Experts speculate that rise may be related to huge numbers of people finding themselves unable to get ahead after the economic recession that began a decade ago. What more, it is still difficult to access addiction treatment in many parts of the country. If you are Native American in the grips of opioid or alcohol use disorder, please contact Whiteside Manor. Our professional staff has undergone training for Native American philosophies, and cultural diversity training from the local Native American Recovery Community. We have helped many Native Americans break the cycle of addiction and begin the journey of recovery, with successful outcomes.